After a brief stint on the Xbox One store, the N64 emulator catchily named Win64e10, has been removed from sale. Although available on the marketplace, the emulator was never officially displayed as it had not been approved by Microsoft, but users were able to find the app by searching for its name directly. The app is no longer available to buy on the store, but those who have already purchased it will still be able to access it. The app was able to make it onto the store thanks to Microsoft's new Universal Windows Platform initiative, which allows Windows PC apps to be made available through the Xbox Store. The app is a port of the open-source Mupen64plus, but as we explored in a recent article, emulators exist in something of a legal grey area that depends more upon a company's willingness to pursue emulator users than any definite legal precedent. 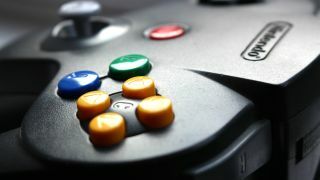 While we have not seen a full-scale banning of emulators, the fact that few people are likely to be ripping their games from their own N64 cartridges means that most are almost certainly having to commit an act of piracy to use the emulator by downloading ROMs. However, as Rich Wordsworth pointed out in his article, even if people were ripping their own ROMs this wouldn't make the act of emulation entirely legal. It appears that Microsoft is not interested in the complicated legal arguments though, and has opted simply to remove the app before any objection from Nintendo arises. A similar app, NesBox was also approved earlier this month, but was later pulled before re-emerging as a free HTML5 app that is playable on Xbox One through its Edge browser. The Universal Windows Platform might be a new initiative, but its short history has already proved challenging for Microsoft as it opens the floodgates for software onto its traditionally closed Xbox platform. So far the company has shown itself willing to clamp down on these apps before they grow too big, but it remains to be seen whether the company can keep this up as adoption of the platform increases. Check out our deep-dive into the legality of emulators.